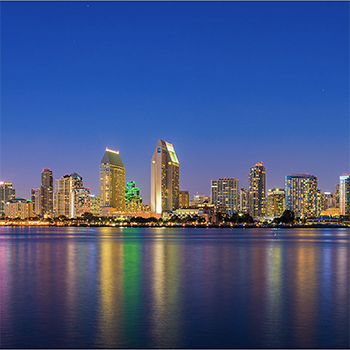 Hear how the City of San Diego’s performance and analytics department’s mission is to empower city employees, elected officials, and the public through increased transparency, efficiency, and accountability in city operations. Learn how by utilizing the performance and analytics department's Operational Excellence Academy, city employees are learning lean methodologies that they can apply to their daily work environments. Hear how the application of lean in the government setting is new to many jurisdictions and can present some unique challenges. This session will focus on exploring the challenges and successes of lean implementation as it is used to change the City of San Diego’s workplace culture, and to empower employees to use lean tools and methodologies, resulting in better service delivery to the residents, visitors, and businesses of San Diego. Jeremy Culuko is a program coordinator in the Performance & Analytics department supporting the operational excellence program and assisting with process improvement initiatives and related educational programs. Prior to the City of San Diego, he served as a program manager and data analyst for Navy Medicine where he led lean six sigma projects, designed education programs, and provided oversight for regional traumatic brain injury programs. He spent several years as a high school teacher in San Diego County and continues to serve on several career technical education advisory boards, mentor students, and assist with the development of high school sports medicine programs. Culuko earned his undergraduate degree from San Diego State University in kinesiology and a master’s degree in education from Grand Canyon University. He is a certified lean six sigma green belt through Navy Medicine and is a proud veteran of the United States Coast Guard.